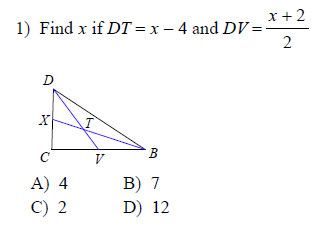 In Geoemetry, a median of a triangle is a line segment joining a vertex to the midpoint of the opposing side. In the figure above, the medians are in red. 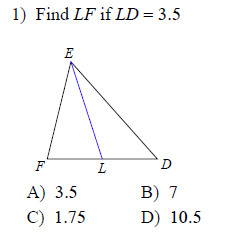 Notice that each median bisects one side of the triangle, so that the two lengths on either side of the median are equal. 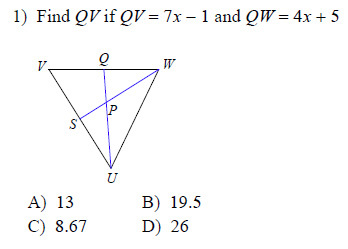 So you see that the median can be useful for solving triangle problems. and solving for \(x\) gives us \(x = 6\). 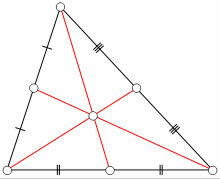 Each figure shows a triangle with one or more of its medians.